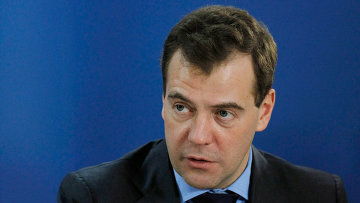 Medvedev ratifies Eurasian Economic Community court status | Russian Legal Information Agency (RAPSI). Moscow, May 4 - RAPSI. Russian President Dmitry Medvedev has signed a law ratifying the status of the Eurasian Economic Community Court. The document on the court’s status was signed on July 5 in Astana. The court is located in Minsk. The document defines the court’s structure and composition, judge appointment procedures, scope of authority, privileges and immunities of its judges officers and its secretarial staff. According to the document, the court will be headed by a chairman appointed from among the court’s judges on a rotational basis in Russian alphabetical order based on the names of member states. The chairman will serve a two-year term. The court will include two judges from each country to be appointed to a six-year term. The court’s status also includes terms of its financing and location, and secures its competence and judicial procedures. According to Article 13 of the status, the court guarantees to uniformly apply international agreements effective within the community and the Customs Union as well as decisions of their bodies. The Eurasian Economic Community is an international organization uniting Russia, Belarus, Kazakhstan, Kyrgyzstan, Tajikistan and Uzbekistan. The Community is authorized to form common external borders of member states and to generate common foreign economic policy, tariffs and prices.